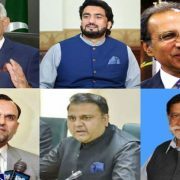 LAHORE (92 News) – The DG NAB has formed a special team to probe into the Raiwind Road corruption reference on Friday. Former prime minister Nawaz Sharif and Shahbaz Sharif have been nominated in the reference prepared for corruption in the construction of Raiwind Road. It has been alleged that the road was constructed from budget allocated for a school and a dispensary. The Sharif brothers will be summoned to record their statements this month. The reference will be filed after investigations.